Simmer the rice in coconut milk for approx. 15 min. Add milk and simmer again for approx. 10 – 15 min. until the rice is creamy, adding more milk if required. Peel and core the mango, then puree the flesh. Add the sugar, vanilla sugar, and cinnamon and stir well to combine. 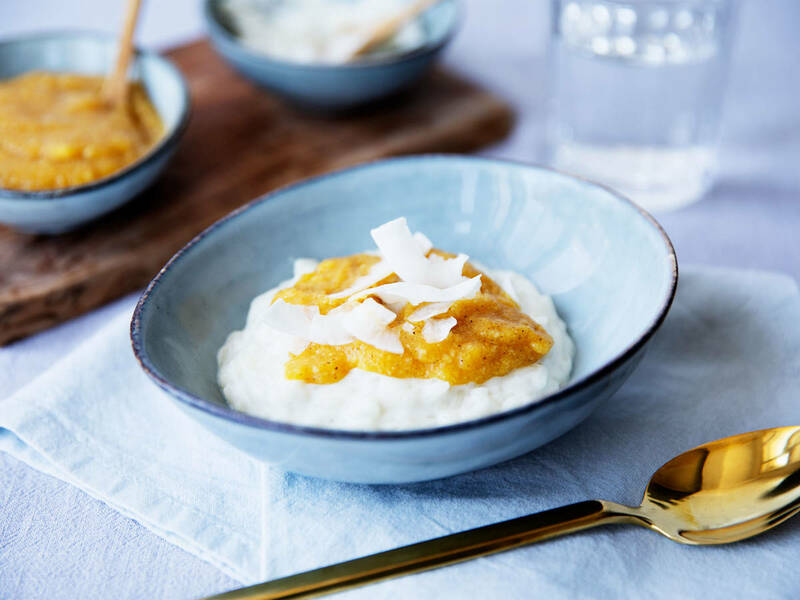 Serve the rice pudding with a dollop of mango sauce. Enjoy!